Frank X. Barron was a faculty member at UC Santa Cruz who helped shape the campus and the Psychology Department. Photo courtesy of Special Collections, UC Santa Cruz. Photo courtesy of Special Collections, UC Santa Cruz. 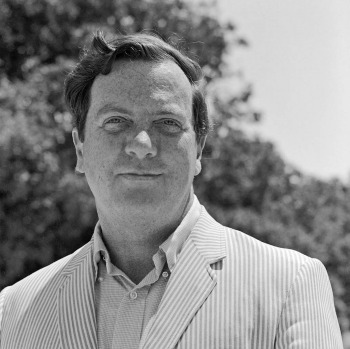 Frank X. Barron, professor emeritus of psychology and and one of UC Santa Cruz’s most distinguished faculty, was internationally renowned for his study of creativity and personality. He was a major contributor to the development of UC Santa Cruz and its Psychology Department. Professor Barron came to UC Santa Cruz in 1969 and taught courses in personality and human creativity. He helped establish UC Santa Cruz as a campus where serious courses in the psychological study of creativity are routinely offered to undergraduates, where creativity research is a respected enterprise, and where students and faculty alike understand that human creativity can contribute to psychological health, personal freedom, and social well-being. He was a fellow of Porter College and served as chair of the Psychology Department. Professor Barron died October 6, 2002, at the age of 80. Professor Barron received his Ph.D. in 1950 from the University of California, Berkeley. Prior to coming to UC Santa Cruz, he taught at Harvard, Bryn Mawr, University of Hawaii, and Wesleyan. He developed much of his work as a founding member of the Institute of Personality Assessment and Research at UC Berkeley from 1949 to 1968. His pioneering studies of creative writers, architects, research scientists, and mathematicians still stand as classics in the field of creativity research. His work played a crucial role in helping to shift personality psychology's focus away from psychopathology toward psychological health and personal vitality. Professor Barron was a Guggenheim Fellow, Fellow of the Center for Advanced Study in the Behavioral Sciences, and SSRC Faculty Research Fellow. In 1969 he was awarded the American Psychological Association's Richardson Creativity Award, and he was president of the APA's Humanistic Division from 1989 to 1990. In 1995 he was honored with the Rudolf Arnheim Award for outstanding contribution to psychology and the arts. Professor Barron's publications included Creativity and Psychological Health, (considered one of the world's major works on the topic of creativity), Creativity and Personal Freedom, Creative Person and Creative Process, Scientific Creativity (with C. W. Taylor), Artists in the Making, The Shaping of Personality, No Rootless Flower: An Ecology of Creativity, and an anthology, Creators on Creating. He contributed to Scientific American, Encyclopedia Britannica, Science, Contemporary Psychology, Journal of Personality, Journal of Abnormal and Social Psychology, and other scholarly journals in psychology and education. In 2005 an endowment was established in Professor Barron’s honor, which provides an annual Frank X. Barron Award in Creativity Research. The award, which is based on academic merit alone, is open to undergraduate and graduate students is any major or field of study at UC Santa Cruz, who are researching areas broadly defined by the work of Frank X. Barron, i.e., advancing understanding of creativity. For more information about this award, please contact the Psychology Department at (831) 459-4416 or visit the department’s website.